Meet our guest Book Doctor for World Book Day... Andy Griffiths! 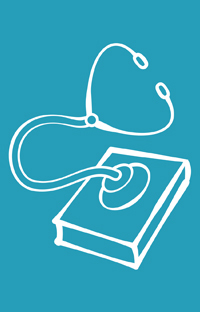 As a special treat for young booklovers, Andy Griffiths, co-author of the hilarious Treehouse series and one of this year's £1 Book authors, is our guest Book Doctor for World Book Day! More than 150 of you sent us your reading ruts – whether you were after funny books or needed book recommendations for an adventure-loving 9-year-old – for Andy to answer, and he's picked six (yes, six!) of you to help. 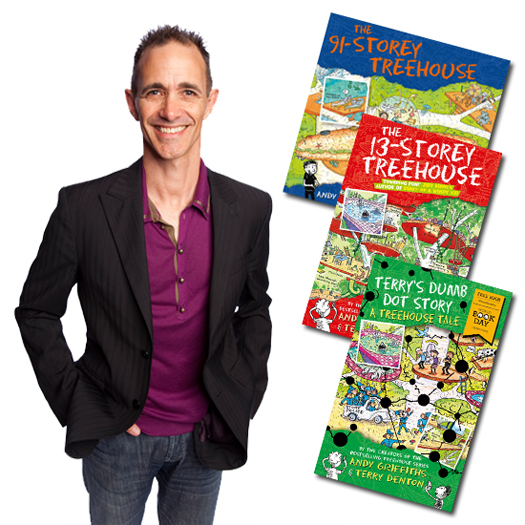 Plus, each winner will receive a signed set of Treehouse books. Happy World Book Day! 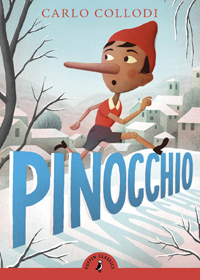 I would suggest Pinnochio by Carlos Collodi. It’s one of the strangest, funniest and most wonderful action-packed story that I know—a non-stop rollercoaster of fun and danger! If Pinnochio doesn’t keep your dad awake then I would suggest pinching him, poking him, pulling his hair, playing the trumpet, pounding a drum and/or putting little matchsticks in between his upper and lower eyelids. Good luck! Eeek! Books are like friends to me and I cannot imagine living without them. I still have most of my favourite books from childhood. They inspire and comfort me. I love to have them around me so I can revisit them any time I want. Even just seeing them on the shelves reminds me of the particular feelings I had while reading them. I think you need to have a really serious talk with your mother and explain how you feel and let her know in polite—but no uncertain terms—that you would greatly prefer that she never never never never never never NEVER gives a book away again without consulting you first! 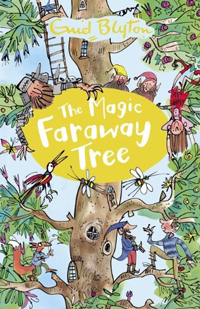 Hey, I read and loved the Faraway Tree series as well! (I also liked The Adventures of the Wishing Chair.) I think what I loved the most about Enid Blyton’s books—apart from her skill in getting a story going very quickly with a minimum of description— was the freewheeling sense of excitement, danger and freedom I felt when reading those books. It’s this feeling that I specifically set out to capture in my and Terry Denton’s Treehouse series which—like the Faraway Tree—is about a tree full of surprising characters and many surprising lands/levels. 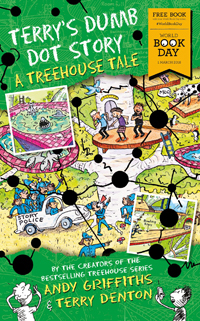 Unlike the Faraway Tree series the Treehouse books are filled with modern inventions and weird and wonderful machines. At its heart, however, like most of Enid Blyton’s books, it’s the story of friends who, together, seem to be able to solve any problem and defeat any villain in their comic-adventure-fantasy world. Alas, it is very hard to convince somebody to like something they think they don’t like. What I would do is to not let their (misguided) opinions about reading bother you one bit and just continue to read as much and as often as you wish. Maybe every now and then—when the opportunity arises—you could say something like, ‘hey, that’s just like in this book I was reading when …’ and then tell them a short episode or piece of information from the book. You never know what will happen when you plant little seeds like this in people’s minds Or maybe you could tell them—in not too many words—the plot of whatever book you’re reading up to an exciting moment and when they say, ‘and what happened next?’ you can claim that you don’t want to spoil it for them and offer to lend them the book. Revealing small snippets of intriguing information from whatever book you’re reading is definitely a skill worth practising. I’m so glad to hear they have enjoyed the Treehouse series so much! In recent years I have discovered three book series that truly make me laugh. 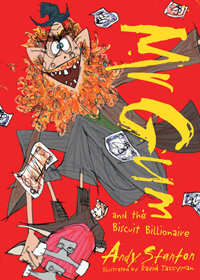 Mr Gum and the Biscuit Billionaire by Andy Stanton is a true work of comic genius which introduces us to Alan Taylor, a biscuit with electric muscles who carries around a tin of money which he uses to buy himself friends. I was also lucky enough to discover Uncle by PD Martin, a story of a loveably pompous elephant called Uncle who lives in an endless mansion called Homeward and who wages continual war against his enemy the despicable Nailrod Hateman and the bad crowd from ‘Badfort’. Amazing stuff. And, of course, I have endless admiration for Jeff Kinney’s Wimpy Kid series. Congratulations! Grace is becoming an independent reader with a strong urge to read books all by herself—you and your husband have done a great job! She is to be encouraged in this. Of course there’s a place for sharing books as a family, too, in which case you might choose a book that is slightly above her current reading level. That way your reading sessions with her can be used to introduce her to books that may—at the moment—either be too long or too complex to read by herself. Need urgent book advice? Visit your local bookshop taking part in World Book Day! Booksellers will be happy to recommend your next read – find your nearest here.